Who says a plane is the only way to get to your honeymoon? A road trip may seem old-fashioned, but there’s something inherently romantic about driving off into the sunset with your new spouse. 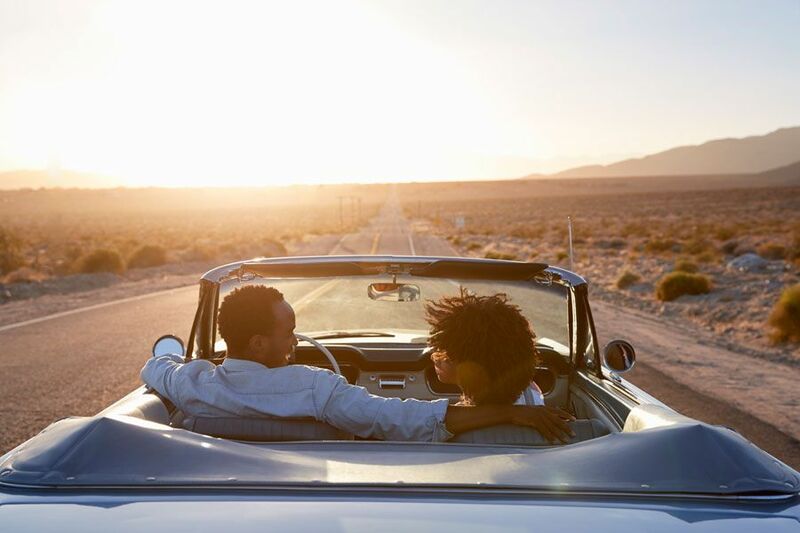 If you’re thinking about turning your honeymoon into a road trip adventure, here are a few tips to ensure you don’t hit any literal or metaphorical potholes. He recommends keeping driving to four hours or less per day to maximize time for leisure activities. This vacation is for both of you; so, don’t leave all the planning to one person. Do your research together and take care to incorporate activities that fit both of your interests (i.e. hiking, shopping, golfing). It’s a great test of your compromising skills and helps build up anticipation for the big trip. Road trips can be a budget friendly honeymoon option, especially since you don’t have to worry about expensive airfare rate. However, that doesn’t mean it’s a good time to scrimp and save. “A road trip does not have to be super expensive, but it’s best to spend enough to be comfortable,” says Sedenquist. While costs can vary depending on location, a good ballpark figure is $175 to $225 per day for a night at a bed and breakfast, main meal, fuel and activity according to Sedenquist. “Of course, the sky’s the limit! Just do your best to avoid being too frugal. Nothing kills romance like bedbugs,” he adds. No one wants to spend hours staring at an empty gray highway, so be sure to select a scenic route. Love an ocean view? Take a trip along California’s Pacific Coast Highway. Want to get in touch with nature? Cruise through a National Forest, like Yosemite or Joshua Tree. For sweeping vistas, consider a drive through the Blue Ridge Parkway in the central and southern Appalachian Mountains. Don’t forget to chronicle your trip! Whether you take photos or keep a journal, it’s nice to have a record to look back in the future to remind yourself of where your marriage began. The open road is all about freedom, so don’t feel the need to stick to a strict itinerary. Give yourself the flexibility to see a roadside attraction or spend an extra day relaxing. Remember, the best adventures are unexpected! Also, be prepared for hiccups along the way. “Road trips are not theme park excursions – things happen, vehicles break down, and couples need to have contingency plans in case things don’t go as smoothly as hoped,” says Sedenquist.